Talk about a roof garden … several structures at the Maine Botanical Gardens have taken the idea to new heights! While the gardening team at this idyllic location have certainly put every square inch of space to good use, it begs the question of how did they get so much greenery to actually grow on the rooftops? And, more importantly, what may be growing on YOUR roof? 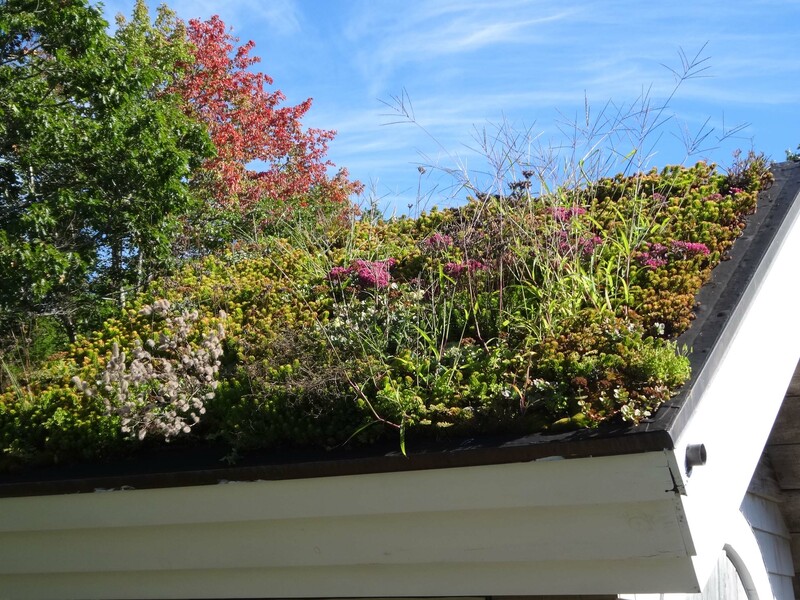 What's the answer if you don't want to put your green thumb to use on your roof? Synthetic slate and shake roofing tiles from DaVinci Roofscapes. Our man-made polymer roof tiles resist impact, fire spread and yes, even greenery. Of equal importance, they resist the growth of algae, fungus and mold, so there are no long-term maintenance hassles or costs. Let's remember also that a "garden roof" can be a siren's call to insects, decay and rot. All common problems for roofs that invite growth. Unless you're interested in creating a yearly harvest on your roof, take time when selecting your next roof to consider all the benefits of synthetic slate and shake tiles from DaVinci. Along with a beautiful roof, you'll get a lifetime limited warranty that provides you with the peace-of-mind of knowing that the only greenery you'll be harvesting is from your garden.